Barbara Wertheim Tuchman. 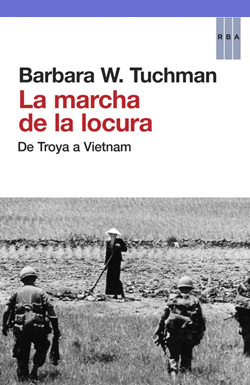 La marcha de la locura: de Troya a Vietnam. Barcelona: RBA, 2013, 710 pages. Translated by Marta Pino Moreno. ISBN: 978-8490065259. Spanish translation of the original title: Pierre Barbara Wertheim Tuchman. The March of Folly: From Troy to Vietnam. Ballantine Books, 1985. Published in Spanish by RBA.